The “What’s in it for me” question drives the world – and that’s human nature. But in terms of our professional organizations and affiliations I think as people age, both in their lives and in their careers, the question gradually shifts from “What’s in it for me?” to “What’s in it for others?” And that’s certainly been the case during my years of involvement with the Public Relations Society of America. In the early days folks value most what they can learn from participating in PRSA that would benefit their careers. At first they are looking for programming that will help improve their skills. Later PRSA often becomes the source for the connections and the network they need to advance their careers. And later on the focus frequently shifts to seeking information about becoming better strategic thinkers, planners and managers. And all of these are great benefits of a professional organization like PRSA. This was certainly the case with me, but as I became better at all of those things I realized, as many folks do, that public relations is more than just telling our stories, persuading our publics or building our brands. Public relations with its emphasis on open, honest, ethical communication really does provide the best hope for, 1) Cosmic Balance, 2) Universal Harmony and, 3) Preservation of Life in the Free World as we Know it Today. I recognize that I’ve been lucky to work in a field that does so much good for so many. But with that recognition comes responsibility. And to me that responsibility has always been to find ways to stay involved with PRSA – advising students, counseling others, mentoring colleagues and working to strengthen public relations education. I’m happiest when I’m doing things to help others improve their skills, develop their networks, become better strategic thinkers and understand the critical role that public relations has in our world – in short to be able to live the same rewarding life focusing on the “What’s in it for others?” question that I’ve enjoyed so much for so many years. 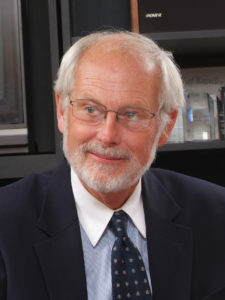 Dr. Steve Iseman APR, Fellow PRSA, is Professor Emeritus at Ohio Northern University.